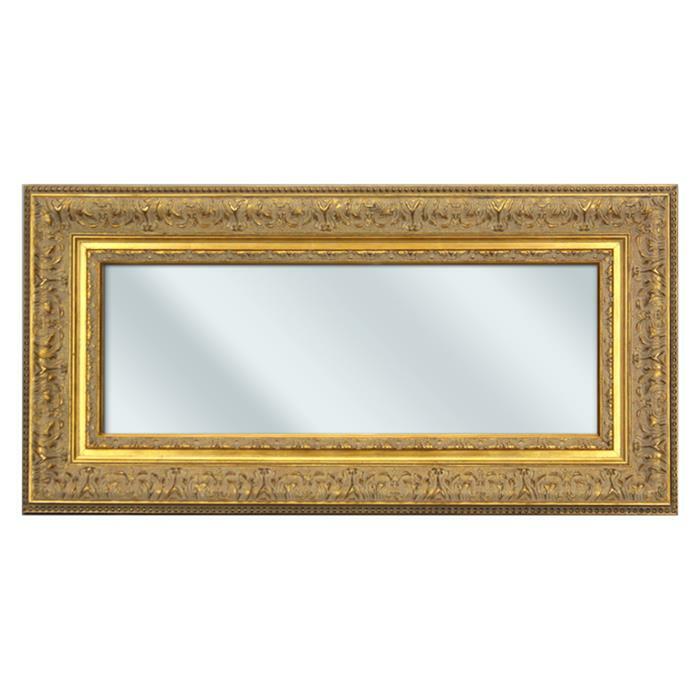 Baroque Gold Mirror with Floral Embellishments - 14⅜x28⅞"
This 3½" wide frame features four layers of ornate detail! A ¾" bright gold panel is flanked by inner and outer layers of high-relief, antique gold floral embellishment. The recessed outer foot of the frame is adorned by a simple row of small beading. Mirror features high quality 1/8" thick flat mirror glass. This frame is also available with beveled mirror glass. Please contact us for more information.